Last year we were accepted in to the Esri Emerging Partner program enabling us to add multiple integration points between Esri’s GIS software and the SmarterWX product portfolio. Just recently the team added a connection between SmarterWX Automate and Esri’s mobile workforce management tool – “Workforce for ArcGIS” – allowing you to automatically assign locate requests to your locators in the field. 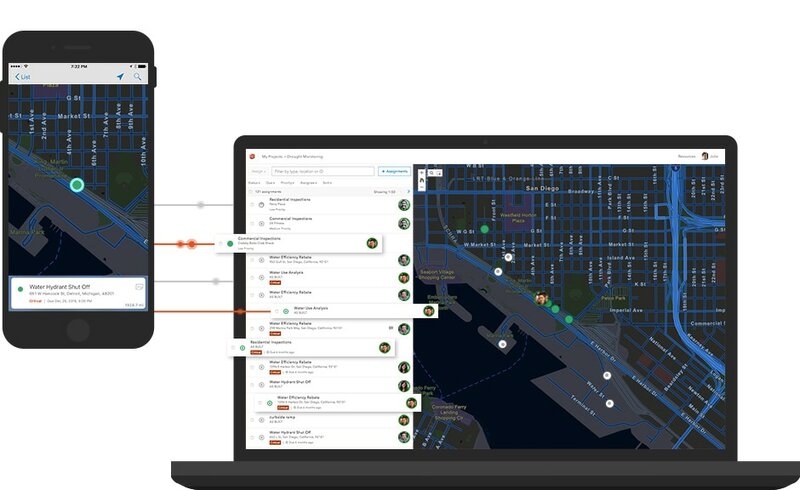 Part of the Esri Geospatial Cloud, Workforce for ArcGIS is a mobile app solution that uses the power of location to coordinate your field workforce. It integrates work management to reduce reliance on paper and provides everyone with access to the authoritative data they need. Workforce for ArcGIS is designed to help you reduce errors, boost productivity, and save money. The SmarterWX Automate rule studio allows you to create a work assignment in Workforce for ArcGIS whenever a locate request is received matching your business rules. Your dispatcher is then able to pass work to your mobile workers in the field in real-time. The combination of Workforce for ArcGIS, Navigator for ArcGIS and Survey123 for ArcGIS allows your locator to (i) receive a work assignment, (ii) get turn-by-turn directions to the dig site and (iii) capture information and photos from the dig site straight back to the dispatcher. 1) Create a new Project in Workforce for ArcGIS for locate requests. 2) Create a rule in the SmarterWX Automate Rule Studio with the action “Write feature to GIS”. 3) When asked to select the Feature Layer to write to, choose the newly created Locate Requests Assignment layer. This allows SmarterWX Automate to write new work assignments to Workforce for ArcGIS. A key aspect of managing your locate requests is to provide a “positive response” back to the one-call provider indicating the action taken and details of risks at the dig site. The good news is that the team is working on integration from the locator in the field back through SmarterWX Automate to submit the correct positive response codes automatically. SmarterWX continues to grow. We’re excited to announce that the SmarterWX portfolio now has three complementary solutions for all of your capital works planning and street works needs – Collaborate, Locate and Automate.